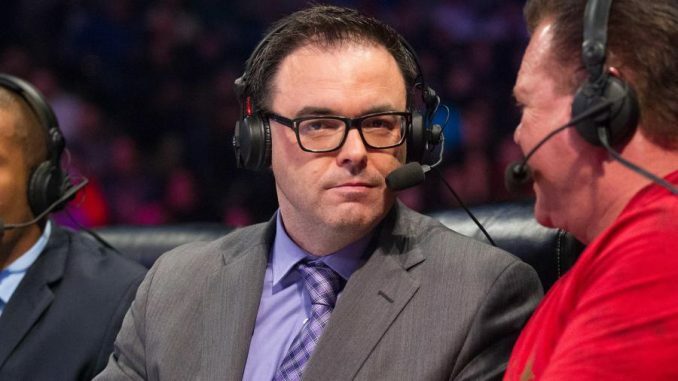 Due to a conflict with the Showtime Championship Boxing card from Dallas this weekend, Mauro Ranallo will not be calling NXT TakeOver this Saturday. Vic Joseph will be replacing Ranallo on the broadcast and will call the show alongside Nigel McGuiness and Percy Watson. Following the Showtime card, Ranallo will be flying to England and he will be calling Monday and Tuesday’s WWE U.K. events from Royal Albert Hall. The U.K. events will air the following week on the WWE Network.